2016 May 2016, Glossop Swimmer Jeroen Peters, set two new East Midland Region Masters Records in the 200m Individual Medley and the 800m Freestyle at the European Masters Swimming Championships in London. Well done from all at the club. 2016 Second round of Stockport mini meet series brings Glossop success Click Here for report. 2016 Pb’s for Glossop swimmers at Stockport Mini meet round 1 Click Here for report. 2016 Well done to all current and past Glossop swimmers who have qualified to swim at this years English Nationals. Tilly Holt, Ben Foster, Luke Kerslake and Elllie Bamber. 2016 Well done to Millie Whaites who has been selected to represent the East Midlands as a disability swimmer in the English Schools Gala at Ponds Forge. 2016 James McGraw finishes second at Warrington Aquathlon. 2016 Ripley Rascals swimming meet 2016, for report Click Here Team Photo. 2015 Alan Fennell Swimming Gala. Click here for all results. 22015 Vice Presidents Gala 2015 Click here for report. 2015 Glossop swimmer Emma Chrystie Lowe has just been selected for the Pentathlon GB, England Talent Program, well done Emma from everyone at the club. 2015 Wirral Swimming Club 2015 Level 3 Open Meet, 11th & 12th April. All entries back to Andrew Foster by 5th March 2015. Click Here for entry information. 2014 Congratulations to all our recent prizewinners at the GASC prize giving, every trophy was totally deserved. 2014 Well done to all the nominees for the Alan Fennell Memorial Trophy – Adam Sherwood, Alex Issatt, Maria Gomez, Jessica Harding, Charlie Hodgkinson, Jacqui Kinsey, James Mc Graw, Lucy Beattie, Ellie Bamber & Matthew Beard. 2014 Special congratulations to Maria Gomez the first winner of the new Alan Fennell Memorial Trophy. 2014 For more information on the Alan Fennell Memorial Trophy Click Here. 2014 Glossop swimmers Jaqui Kinsey, Ben Foster and Jacob Atkinson were chosen to represent Manchester and Bolton in the North West Inter Association Swimming Championships at the weekend. Personal Bests were achieved by all the swimmers in what is an extremely competitive meet with the best swimmers from the North West and North Midlands involved. 2015 Well done to all the senior swimmers who swam in the recent distance gala. 2014 M&D Championships 2015, Click Here for Entry pack and Entry form. Please return entries to Andrew Foster by 21st November. 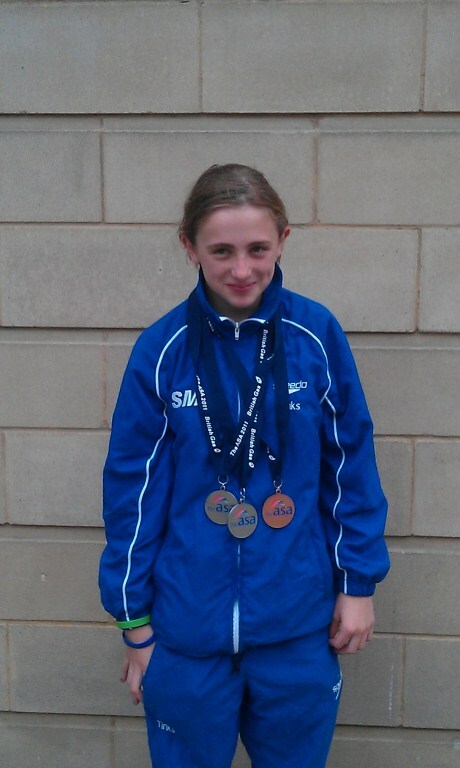 2014 Well done to Glossop swimmer Emma Beattie, on her 3rd place at the recent Buxon Aquathon. 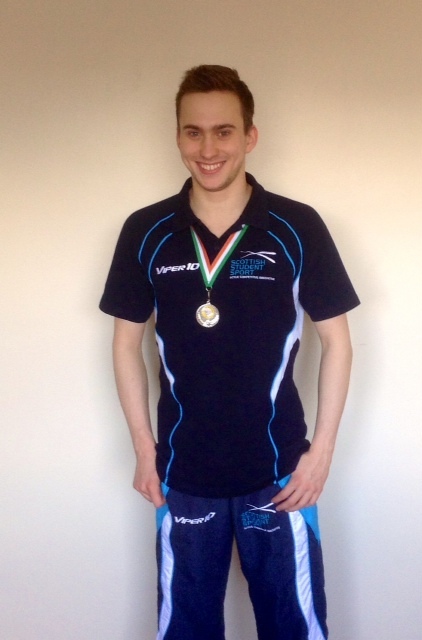 2014 Celtic Nations 2014, Ex Glossop Swimmer Xander O’neill takes Silver in the 200 IM whilst representing Scotland at the recent Celtic Nations in Ireland. 2014 Glossop Swimming Club Volunteers Week Thank you to everyone who registered an interest in the recent volunteers week. 2013 Alan Fennell Annual Gala 2013 Gala Results A total of £71 was raised for Children in Need during Fridays Annual Gala. Thank you to everyone who made a contribution. 2014 Ellie Bamber selected for ASA Youth Forum. 2013 Longdendale High School win the 2013 Annual Senior Schools Gala at Glossop Pool. 2013 Congratulations to St Mary's Junior school on winning both the Boys and Girls Junior School Relay Shields at the 2013 Annual Junior schools Gala. 2014 Sharks at Macclesfield Splash and Dash.Report Results. 2013 Glossop finish 3rd in Division 1 M&D Swimming league Click Here. 2013 High Peak Shark Travis gets a helping hand Click Here for article. 2013 Matilda Holt presented with most improved Girl in her age group at National Arena league final in Cardiff. 2013 Matilda Holt gains 6 bronze medals at the 2013 Cheshire County Championships in the 50 Freestyle, 200 Freestyle, 50 Backstroke, 200 Backstroke, 50 Butterfly and 100 IM and was awarded overall 3rd place in 11 year old BAGCATS competition. Chloe Fletcher takes Silver in the 200m Butterfly and Bronze in the 200m Freestyle at 2013 Cheshire Championships. 2013 Glossop finish 3rd overall in 2013 Manchester & District Age Group Swimming Championships. The Boys finished 3rd overall, the Girls finished 2nd overall. 2013 Samantha Bruce takes 3rd place at Stockport Metro annual BAGCAT awards. 2013 Matilda Holt awarded Junior Development Swimmer Of The Year at Stockport Metro annual awards. 2012 Glossop swimmers selected by Stockport Metro for National Arena League North West Final at Liverpool. 2012 Longdendale High School win inaugural Inter Schools Gala at Glossop Pool on Saturday 24th November. 2012 Matilda Holt takes Silver in the 11 year old 50m Freestyle and Bronze in the 11 year old 200m Freestyle and 50m Backstroke at Wigan. 2012 Chloe Fletcher takes Silver in the 14 year old and over 200m Butterfly at Wigan. 2012 Rosa Chrystie-lowe breaks 13/16 year old 50m Backstroke club record in annual gala heats. 2012 Chloe Fletcher swims 4 x 100m Freestyle anchor leg for Stockport Metro at 2012 Youth Nationals. 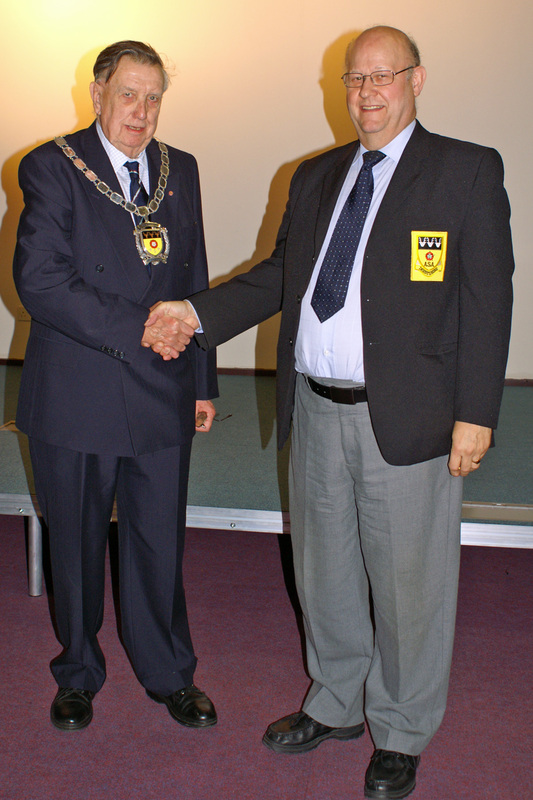 2012 After years of hard work Jeroen Peters achieves ASA swimming referee status, well done Jeroen. 2012 Masters swimmer Jeroen Peters recently competed at the North West Region SC Championships, achieving a Bronze in the 100IM, and Silver in the 100m Breaststroke and 200m Freestsyle. 2012 Chloe Fletcher selected by Stockport Metro for 4 x 100m team relay at the National Youth Championships. 2012 Toni Bruce selected by Stockport Metro for 4 x 100m team relay at the National Age Group Championships. 2012 Glossop Link Club News: Seven Stockport Metro swimmers qualify for 2012 London Olympics. 2012 Northwest Regional Age groups Championships update: Molly Tinker finishes 4th in 13 year old 100m Freestyle final. Toni Bruce swims out of her skin to help her team to 8th place in the 4 x 100m Freestyle relay at the North West Regional Championships. Molly Tinker takes Silver in the 13 year old 100m Butterfly final and finishes 4th in the 200m Freestyle final. Ellie Barker finishes 6th in the 12 year old 200m Breaststroke final. 2012 Martha Boult featured in Extreme Swimming section of this months Swimming Times. 2012 Good luck to Chloe Fletcher, competing in the 2012 North West Region Youth Championships, at Manchester Aquatics Centre. 2102 Sam Bruce takes Bronze medal in 10 year old 50m Butterfly final with sister Toni taking Bronze in the 13 year old 100m Freestyle final at Satellites open. 2012 Ellie Bamber gains International Paralympic classification for Breaststroke. 2012 Jeroen Peters represents Derbyshire in East Midlands Masters County Championships., and finishes 1st in the 50m Breaststroke , and 3rd in the 50m Butterfly and Backstroke. 2012 Cheshire County Championships. Molly Tinker finishes 2nd overall in 12 year old BAGCAT’s and takes Gold in 400m IM, 200m IM and 100m Freestyle and achieves National Qualifying times for 400m IM and 100m Freestyle. Ellie Barker takes Silver in 400m IM and 200m Breaststroke. Matilda Holt takes Bronze in 200m IM and finished 3rd in 10 year old BAGCAT’s. 2012 Derbyshire County Championships Ben Foster takes Gold in 100m IM, 200m IM, 400m IM , 400m Freestyle and wins 9 year old BAGCAT’s. 2012 Cheshire County Championships . Molly Tinker takes Gold in 12 year old 800m Freestyle, Toni Bruce takes Silver in 13 year old 800m Freestyle. 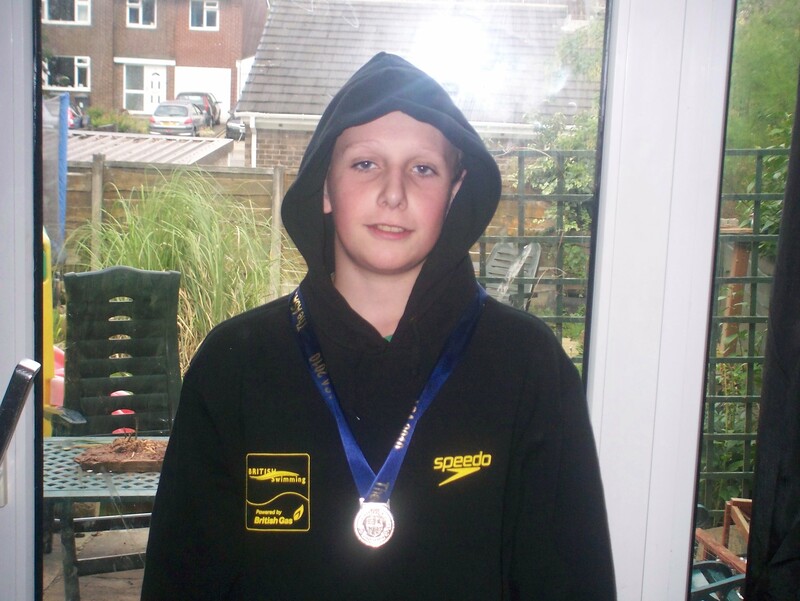 2012 Derbyshire County Championships Ben Foster, Gold, 50m & 200m Backstroke, & 50m Freestyle. Silver in 50m Fly. 2012 Cheshire County Championships. Luke Kearslake Gold, 50 Fly. Chloe Fletcher Bronze, 50m Fly & 100m Fly and makes 100m Fly Final. Molly Tinker Bronze in 400m & 50m Freestyle and Silver in 50m Fly. Matilda Holt Gold, 50m Backstroke, Silver, 50m Freestyle & 50m Fly & Bronze in 200m Backstroke & 200m Freestyle. Ellie Bagshaw Bronze in 50m Freestyle. 2012 Chloe Fletcher Qualifies for 14 & Under 100m Fly Final & Molly Tinker Qualifies for 14 & Under 200m IM Final at ASA Northern Area Zonal Swimming Championships. 2012 2012 Manchester and District Age Group Championships (sessions 1 - 4) Results. 2012 Nicola Bamber and Alice Wright receive awards for outstanding services to swimming in Derbyshire. 2012 Good luck to all Glossop swimmers taking part in the 2012 Manchester and District Age Group Championships & City of Derby long course open. 2011 Glossop swimmers help Stockport Metro to 2nd place at Junior Swimming League National Final at Corby. 2011 Good luck to Ben Foster, Matilda Holt , Luke Kearslake and Molly Tinker competing at the National Junior League Final at Corby. 2011 Molly Tinker qualifies for 2012 100m & 200m Butterfly National Age group Championships. 2011 Ellie Bamber is awarded both High Peak and Derbyshire Junior Disabled Sports person of the year. 2011 Alan Bamber is awarded High peak Junior Disabled Sports person of the year. Both are now short listed for the Derbyshire sports awards. 2011 12th November: Glossop swimmers in action in 2nd round of National Arena League at Blackpool Aquatics. 2011 Toni Bruce, Sam Bruce, Ben Foster & Matilda Holt in action at the 2011 Manchester & District Swimming Championships. Click Here. 2011 Ellie Bagshaw selected to represent Cheshire in National Inter Counties Team Championships. Click Here. 2011 2011 Stockport Metro Coaches Awards: presented to Glossop swimmers Ben Foster for Junior Development 1, Toni Bruce for Regional Age & Chloe Fletcher for Regional Youth. 2011 Ellie Bagshaw , Chloe Fletcher and Luke Kearslake help Stockport Metro to National Arena league 1st round win at Macclesfield. 2011 Rosa Chrystie-Lowe breaks 13/16 year old 50m Freestyle club record at the 2011 Annual Gala. 2011 Rosa Chrystie-Lowe breaks 13/16 year old 50m backstroke club record at the 2011 Annual Gala Heats.Matilda Holt Breaks 9/10 year old 25m Freestyle club record at the 2011 Annual Gala Heats. 2011 National Age Group Championships Day 3: Molly Tinker finishes 5th in the 11 year old 200m and 800m Freestyle Final & 4th in the 200m Butterfly Final. Joe Mitchell takes Bronze as part of the 4 x 200m Freestyle Relay Team. 2011 National Age Group Championships Day 2: Molly Tinker takes 11 year old Silver medal in the 100m Butterfly and finishes 5th in the 400m Freestyle Final. 2011 National Age Group Championships Day 1: Molly Tinker takes Bronze in the 11 year old 100m Freestyle & 200m IM. Joe Mitchell takes a Silver medal as part of the 4 x 100m Freestyle Relay team. And 14th in the 200m Breaststroke. 2011 Glossop win final round of Manchester & District Division 1 League at Royton. 2011 Glossop win third round of 2011 Manchester & District Division 1 League. 2011 Day 4 North West Regional Age Group Championship: Joe Mitchell takes Silver in 13 year old 200m Breaststroke and gains National Qualification in 200m Breaststroke and 400m IM. 10 year old Molly Tinker takes Gold in 100m Freestyle and Silver in 200m IM. Luke Kearslake takes Silver in 10 year old 400m Freestyle. 2011 Day 3 North West Regional Age Group Championship:Luke Kearslake takes Silver in 10 year old 200m Freestyle and 400m IM. Molly Tinker takes Silver in 200m Butterfly. 2011 Day 2 North West Regional Age Group Championship: Molly Tinker takes Silver in 11 year old 400m Freestyle, Luke Kearslake takes Bronze in 10 year old 200m IM. 2011 Day 1 North West Regional Age Group Championship: Molly Tinker takes Gold in 11 year old 400m IM and Silver in 11 year old 200m Freestyle. Joe Mitchell gains National Qualification in 100m Breaststroke. 2011 Good luck to all swimmers competing in the 2011 North West Regional Swimming Championships on the 4/5th and 11/12th June. 2011 Inter Association Championships Day2: Molly Tinker takes Silver in the 11 year old 200m Backstroke. 2011 Inter Association Championships Day 1: Chloe Fletcher takes Silver in 14 year old 100m Butterfly. 2011 Six Glossop swimmers selected by Stockport Metro for Arena League National Final on the 17th April at Ponds Forge. 2011 Inter Association Championships Day 1: Luke Kearslake takes Gold in 10 year old 200m Freestyle & 50m Butterfly and Bronze in 400m Freestyle. Toni Bruce takes Bronze in 12 year old 100m Freestyle.  2011 Good luck to all the Glossop swimmers representing Greater Manchester & Bolton at the Inter Association Swimming Championships on the 28th/29th May. 2011 Glossop swimmers at the Manchester Long course open Results. 2011 Glossop finish 2nd at Altrincham, in 1st round of 2011 M&D Division 1 Swimming League . 2011 North West Regional Youth Championships Day 1: Chloe Fletcher Misses out on a place in the 100m Butterfly final by 3/100 of a second . 2011 Travis Hyland and Martha Boult just miss making it through to the second round in their first competition with the North West Region team. 2011 Day 2 Cheshire County Championships: Chloe Fletcher takes Gold in 100m Butterfly. 2011 Day 2 Cheshire County Championships: Molly Tinker takes 200m Freestyle Gold and sets new Championship record, and takes Gold in the 100m Freestyle and 100m Butterfly. 2011 Day 1 Cheshire County Championships: Charlotte Daniels takes Gold in 800m Freestyle and sets new championship record. Luke Kearslake takes 50m Fly Gold. Molly Tinker gets 800m National Qualification time. 2011 Joe Mitchell secures “Talent Derbyshire” funding. 2011 Updated 2011 Qualifiers list available under external events menu. 2011 Rosa Chrystie Lowe qualify's for Biathlon National Final at Crystal Palace on March 27th. Good luck Rosa from everyone at the club. 2011 Stockport Mini meet results now available Click Here. 2011 Molly Tinker gains 200m Freestyle National Qualification time. 2011 Glossop start first weekend of 2011 M&D Championships on a high with a new Championship Record and a large haul of Gold , Silver and Bronze medals Click Here for results. 2011 Derbyshire County qualification times now available in Links Menu. 2011 Glossop Swimming Club gain promotion to 2011 Manchester & District, Division 1 Team League competition. 2011 East Midlands Region Youth and Age Group Qualification times and Cheshire County Qualifications times now available under Links Menu. 2010 Glossop swimmers travel to Ponds Forge for the Derbyshire 50m Sprints Competition. Results. 2010 New Mills swimmers say goodbye to coach Mike Mckenna after years of involvement at the club. Click Here. 2010 Glossop swimmers in action at Northampton Results and Leicester Results Open Meets. 2010 2011 National and Regional Qualifiers page now available in External Events. 2010 Molly Tinker gains 100m freestyle National Qualifying time at Stockport Open Meet. 2010 Glossop swimmers in action at Stockport Open Meet Results. 2010 Ellie Bamber becomes High Peak junior coach of the year, and finishes runner up in the High Peak junior sports person of the year awards. 2010 Glossop swimmers take coaches awards at Stockport Metro presentation night. 2010 Trevor Lawton gains ASA level 3 Teaching Qualification. 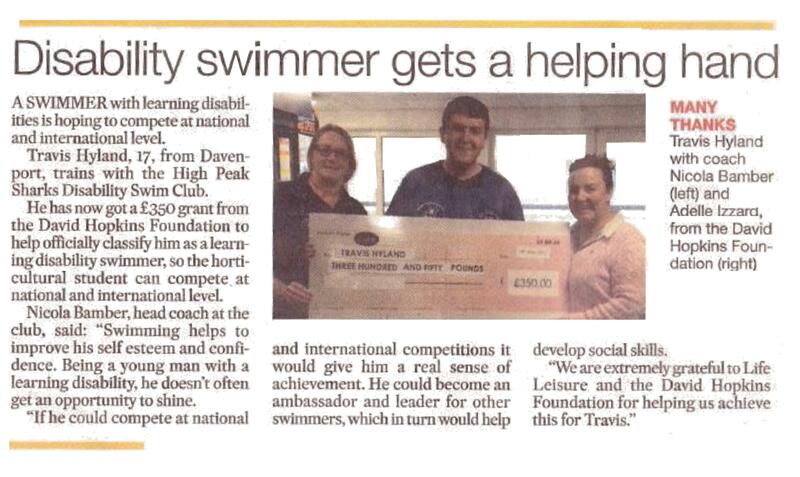 Congratulations Trevor from everyone at the club. 2010 Luke Kearslake lowers further his own club records set at 2010 Gala heats. 2010 Glossop win Manchester and District league Team Final at Broughton pool against tough competition. 2010 Molly Tinker, Toni Bruce & Charlotte Daniels selected by Cheshire Counties for swimming development clinic in Chester . 2010 Molly Tinker breaks Fran Halsalls ten year old, 10 & Under, 50m freestyle record at the 2010 Junior Speedo League at Everton Park. 2010 Luke Kearslake helps, 4 x 25m freestyle relay team to a new 10 & Under record at Everton. Park. A record that has stood since 1997. 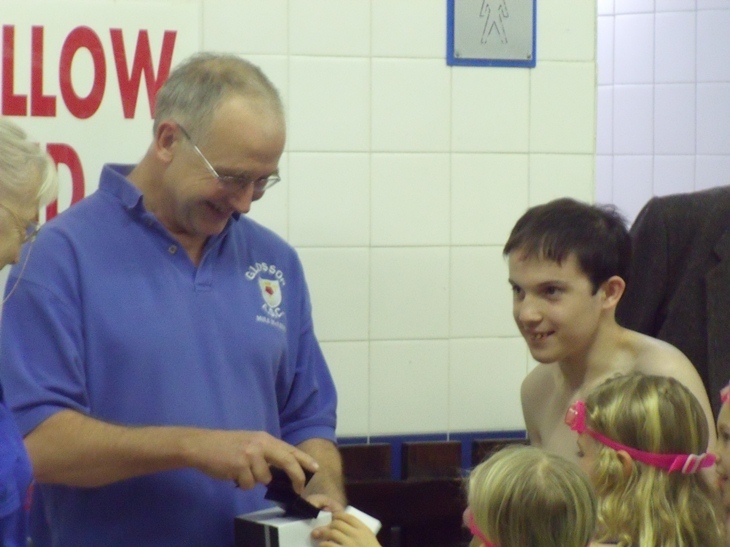 2010 Glossop team presented with M&D Division 1 trophy at Broughton Pool, Click here. 2010 Glossop finish close second in the M&D Division 1 select final, to a strong Bolton team. Report to follow. 2010 Glossop finish runners up to Stretford in M & D league Team competition. 2010: Joe Mitchell wins Silver in 100m National Breaststroke final, and finishes 8th in National 200m breaststroke final. 2010: Glossop win Manchester & Bolton Division 1 Swimming League. 2010: Glossop’s young swimmers dominate Wirral Metro Open Meet. 2010: Glossop finish as runners up to Stretford in Manchester & Bolton Division 2 league team competition. 2010: Joe Mitchell qualifies for 4 events at the 2010 British Gas National Championships. 2010: Charlotte Daniels becomes 2010 Cheshire County 100m Freestyle champion. 2010: Glossop swimmers qualify for Regional Championships. 2009: Chloe Fletcher swimming Fly helps 4 x 25m medley relay team break Junior Speedo League Championship record. 2009: Chloe Fletcher wins overall age group BAGCATS competition at Stockport Metro 2009 Grand Prix series.